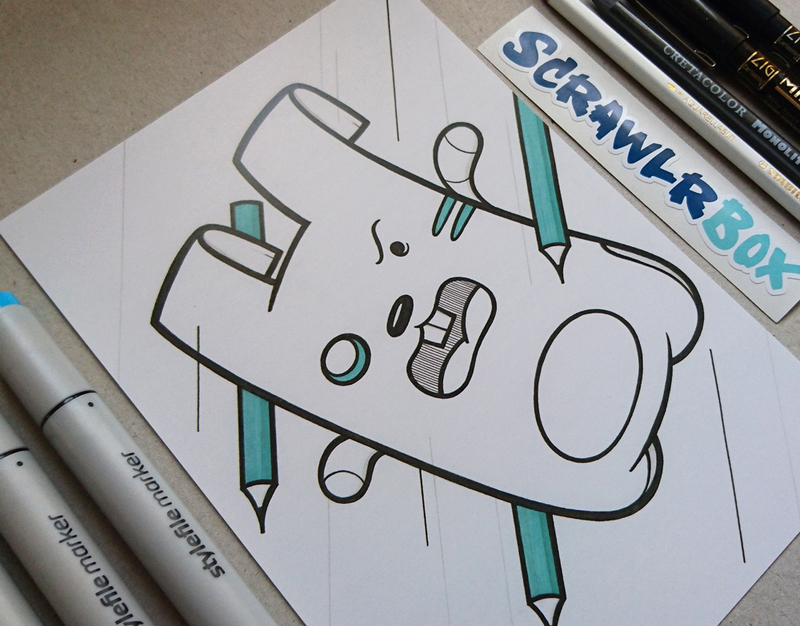 I’m a big fan of ScrawlrBox‘s subscription art supply boxes, so it was an absolute honour to be featured as their Artist of the Month for April. 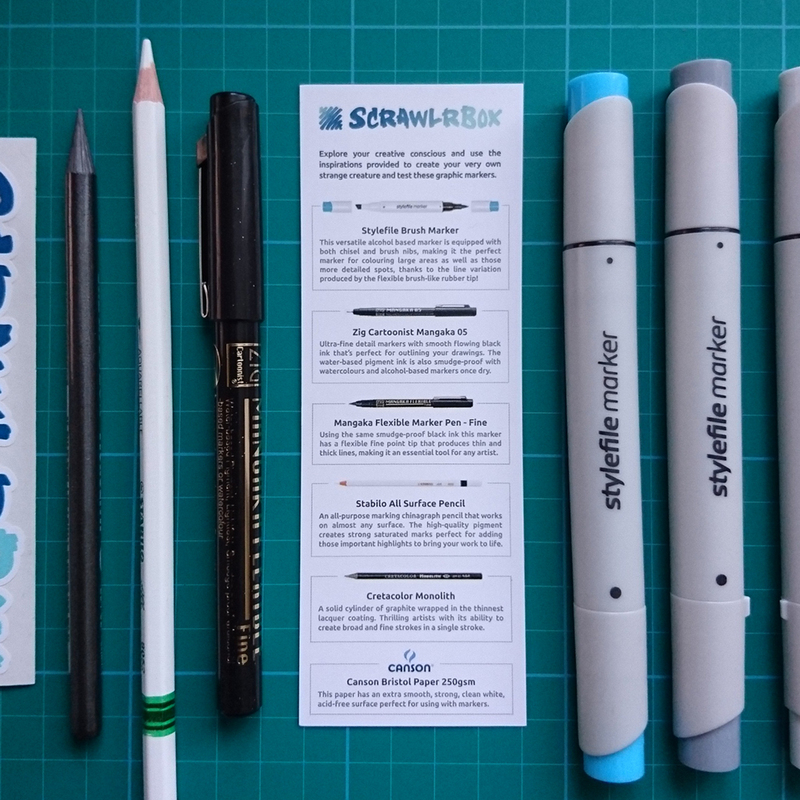 We worked together to pack April’s box full of all my favourite pens and pencils, along with an exclusive print made from one of my drawings. It’s been awesome to see all the creations everyone is making with the supplies. I was going to feature some of them in my blog but there are just too many to pick favourites! You can see them for yourself by searching the #ScrawlrChallenge tag on Instagram. If you’re not a subscriber but would like to get your hands on a box, they have the remaining ones up for sale in their store.